It’s been about one year since we got the stellar, game-changing Venture Bros. special, “All This and Gargantua-2”, and before that, it was about a year and a half since we’d had a full season. Waiting around is part and parcel of being a Venture Bros. fan, as its creators have always aimed for quality over quantity; it takes a lot of effort to keep up the hand-drawn aesthetic apparently. But at long-last, Adult Swim has released a statement about the much-coveted season 6! So... Yay! Fresh Venture Bros., only a mere weeks away! But... Yikes! Another eight-episode season! Quality over quantity, indeed. 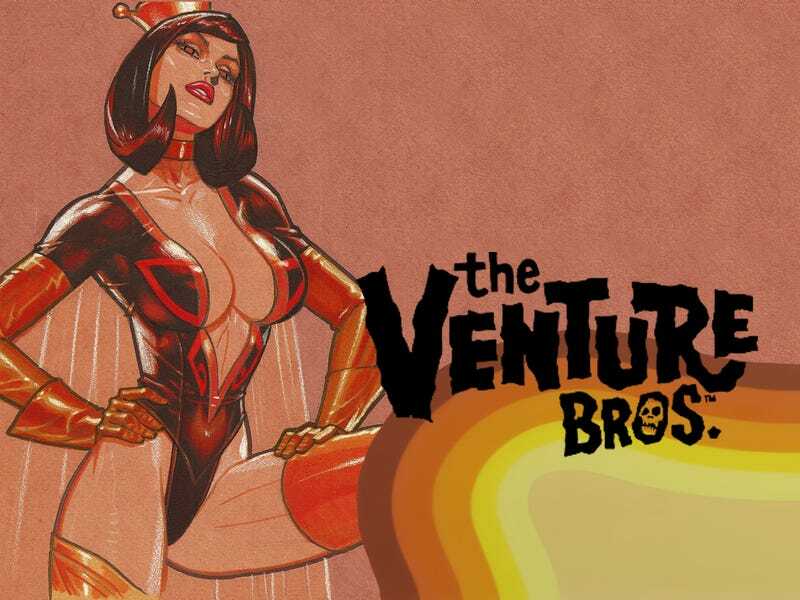 But still, it’s better than no Venture Bros., and there’s no mention of this being the final season. Here’s a preview, thanks to Chick_Counterfly! Though, I think there’s plenty of time for a re-watch before the premiere at midnight on Sunday, January 31. Get to watchin’!